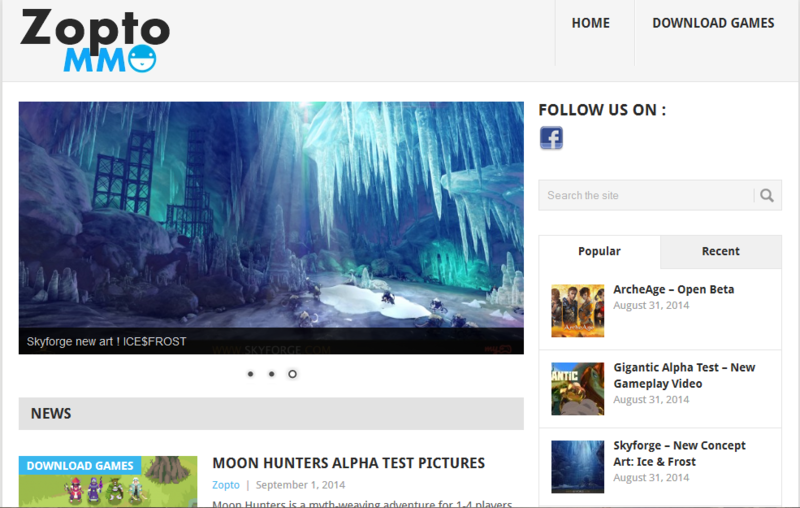 ZoptoMMO my mmorpg news site! Other than the menu witch looks very weird, looks pretty clean. I really love the way this looks. Very professional looking and very pleasing to look at. I would love to see more indie or not so known but awesome games posted in there, like that game Moon Hunters, that seems a game that I’d definetely play and I never heard of it. Thanks! i will post more soon! If you want me to add news/updates of your game on my site just send me pm ! got some problems with database will be fixed soon!